Do you spend countless hours creating a stellar community newsletter, full of interesting articles for your community only to feel like the information is still not getting read, and all of those hours of writing, designing and printing are in vain? Today we are all dealing with a lot of advertising noise, so, as a marketer, it can be like getting into Fort Knox to get people to pay attention to your message. There is one tool that is working for getting people to click and engage: Video Marketing. Video marketing is the fastest, most effective way to get your audience’s attention. Why is that? Research shows that most people retain more information visually. People are more likely to click on a video in an email newsletter than would click through and read an article on your blog. It’s easier and feels like a less time commitment. Here are five ways you can implement video marketing into your marketing campaign. 1. Know your audience. Is this to a new potential resident that you want to attract with your communities amenities? 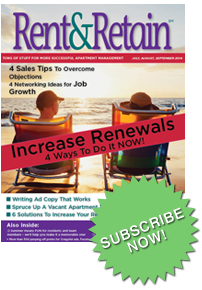 Or perhaps you want to target current residents and promote your new referral program. Getting clear on whom the audience will be is the foundation of your video marketing campaign. 2. Establish your tone. What is your overall tone of the message? Is it serious because you want to share a safety concern with your audience? Or maybe it’s celebratory and upbeat because you are promoting a summer BBQ? Make sure the tone reflects the message accordingly. 3. Craft a compelling message. Your message and intent for the video has to be clear. Write down your message and run through it a few times before you say, “Action!” Use notes to keep you on track during your video or use a teleprompter app on your tablet or smart phone. Here is one I like: http://appadvice.comappnn/2011/02/appguide-teleprompter-appsipad. 4. Have a clear “Call to Action”. What is the action that you want your audience to take? Visit your community? Sign-up for a class? Promote your referral program? Whatever the action, you must be clear and concise, and say exactly what you want your audience to do next. 5. Delivery to your audience. First, off you must absolutely have a YouTube channel and be updating it on a regular basis. But it’s not enough to put up a video and hope your audience will find it. You must promote it everywhere you can, Facebook, Twitter, your blog and your community newsletter. Spread your message and encourage sharing! Get creative! We would love for you to start off by sharing a short video on our Facebook page www.facebook.com/rentandretain. 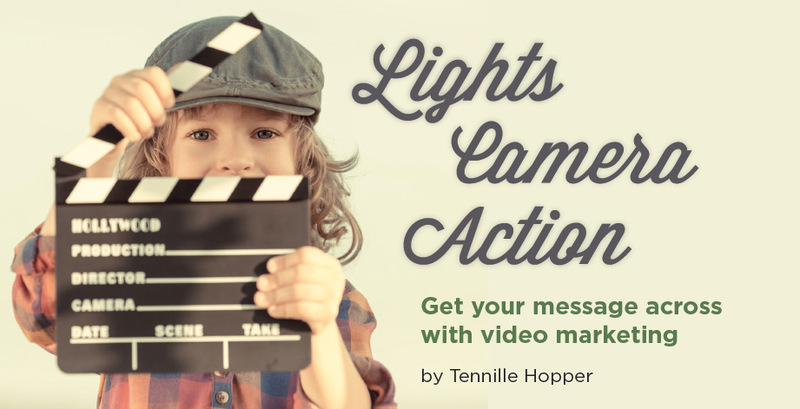 Tell us how you started using video marketing with your prospects and residents. We’ll reward everyone who participates with free stuff! Tennille Hopper, president and principal designer of Pretty Little Pixels, is an expert designer and digital marketer who has received accolades for her million-dollar branding campaigns, creative design work and strategic Internet marketing plans. Her corporate experience with in-house marketing teams allowed her to cultivate her marketing and design skills. In 2001, she created Pretty Little Pixels, a full-service Graphic and Website Design Studio. Balloon Banter – Is it Time to Let ‘Em Go?